I was late outta the traps at Marshside this morning, but in my defence I was leading a guided walk to hear the splendid Natterjack Chorus last night till all hours. Nice and misty grey calm this morning though, with up to eight sweet-voiced Willow Warblers singing (Aloe vera for the sunburnt soul baby!) as I walked down the public footpath through Hesketh Golf Course between Hesketh Road and Marshside Road at 10am. Three Chiffchaffs and Goldcrests singing too, and a reasonable stream of Swallows and Sand Martins sweeping north overhead, but not many Mipits – too late in the day perhaps? 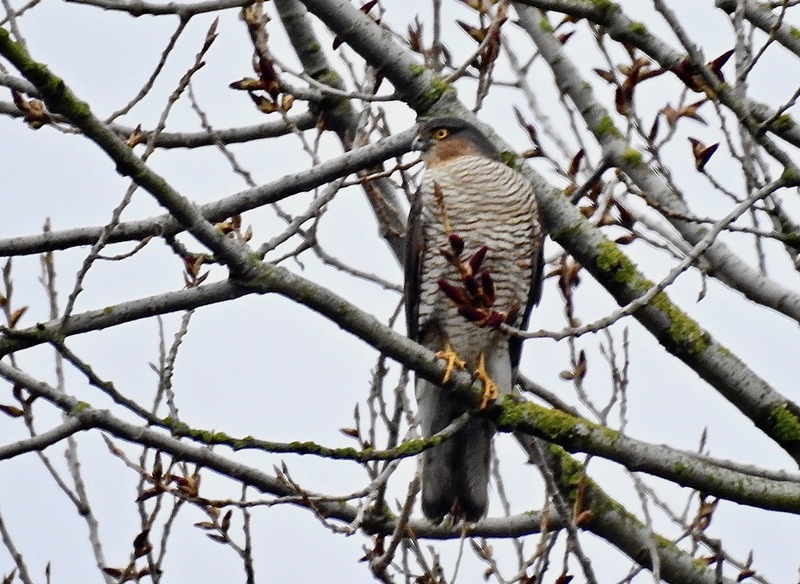 Two male Blackcaps in the willows by the path, and several Siskin and Redpoll calling above. One of the local Sprawks eyed all the migration hungrily. 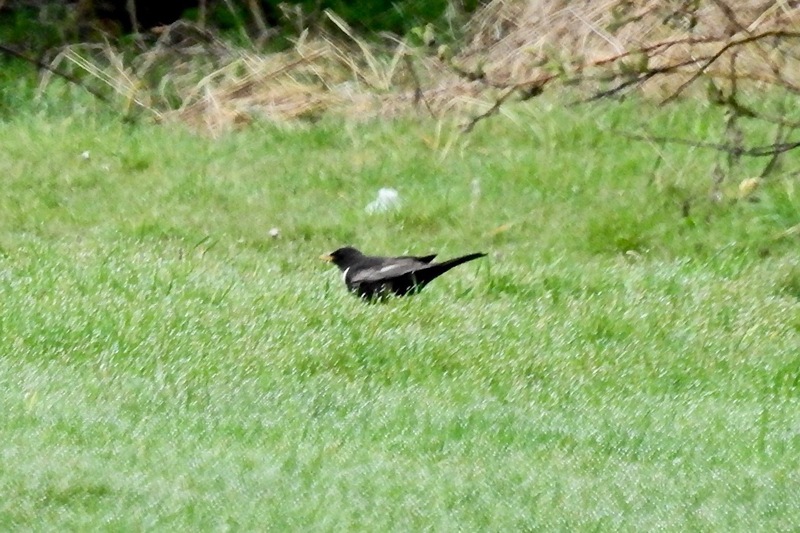 A few Blackbirds were chinking about near the edges of the fairways, when the tell-tale pale wing panels of one bird gave away a superb male Ring Ouzel as it flew away from me, only to drop down on the edge of the rough. 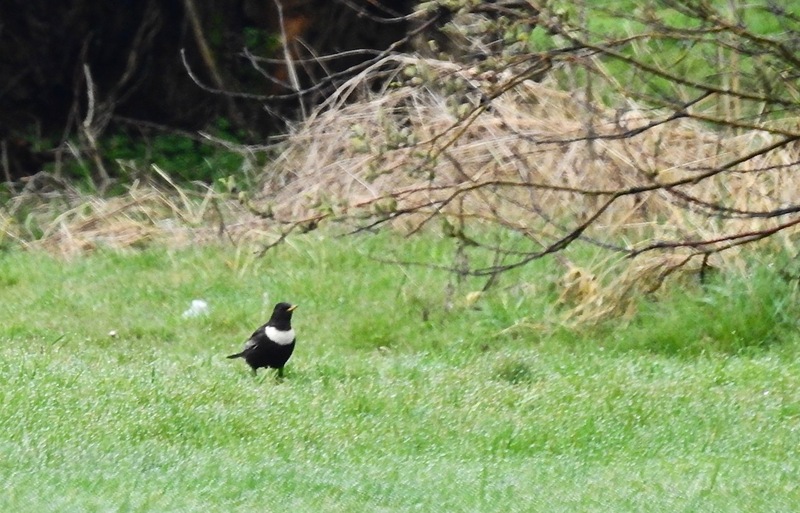 Wild and wary as ever, the Rouzel occasionally bounded out onto the wet grass, but generally kept a low profile. I left it in peace at about 1045 and walked back toward Hesketh Road. Any morning featuring one of these beauties is a good one. 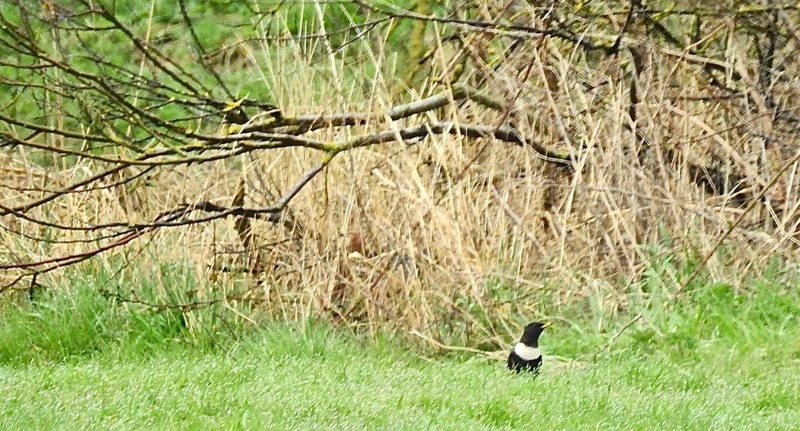 I should at this point apologise for my appalling ineptitude with mobile technology – posting the Rouzel on Birdguides without checking the prescriptive text mullarkey meant my message of “male from public footpath near the 12th tee” became “nale from public footpath near the 12th tree”. I confess I worried, albeit briefly, about confused folk counting trees or looking for carpenters, then moved on. Carpenters and tree counters of the world unite! Drove up to the Sandplant, where two Merlins were out over the marsh, including the funny young male (?) 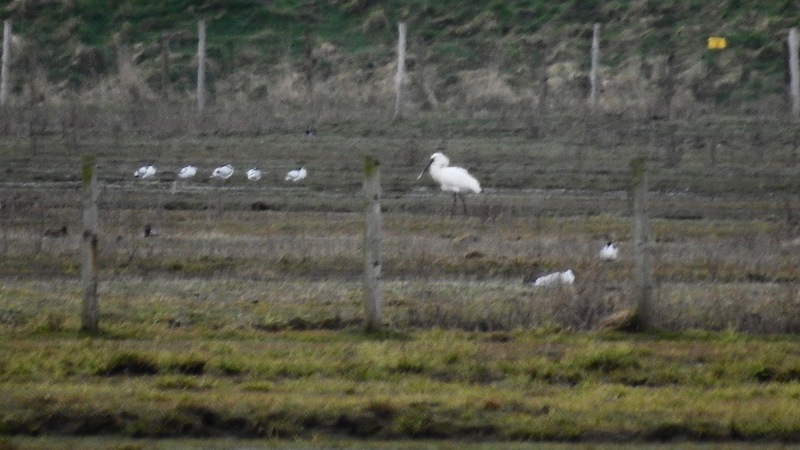 with the two-tone uppers, and from Sandgrounders hide, the Spoonbill was visible (just), distantly over by the School Pool at the back of the marsh amongst squadrons of Avocets. Two adult Med Gulls dropped for a wash amid the BHG clamour and later, from the remains of the Forest of Bale, I watched as a Great White Egret flew high and south towards Southport and beyond. Two Chiffchaffs singing up there too.